Die Transferkompetenz beinhaltet das Wissen, die Fertigkeiten und die Fähigkeiten, die erforderlich sind, um Texte auf dem jeweiligen Niveau in die Hauptsprache zu übersetzen. Sie umfasst die Fähigkeit, Probleme des Textverstehens und der Textproduktion zu erkennen, sowie die Fähigkeit, diese Probleme auf angemessene Weise zu lösen und das Endergebnis begründen zu können. Sprachkompetenz bezieht sich auf die grammatische, stilistische und pragmatische Beherrschung von Ausgangs- und Zielsprache insbesondere in den Bereichen Lesen und Schreiben. Textkompetenz umfasst das Wissen um literarische Genres und Stile und die Fähigkeit, dieses Wissen in der Analyse ausgangssprachlicher Texte und der Produktion zielsprachlicher Texte anzuwenden. Il s’agit ici de repérer dans la langue duL texte les écarts (lexicaux ou syntactiques) que se permet l’auteur par rapport à la grammaire au sens large et donc de cerner une langue dans la langue. Les caractéristiques auctoriales et idiosyncrasiques se repèrent aussi dans les métaphores ou images issues de l’imaginaire particulier de l’auteur et/ou de sa culture. Par ailleurs, il s’agira également de repérer dans un style particulier les traces de styles autres ou étrangers, allusifs ou relevant de l’interculturalité. Die heuristische Kompetenz ist die Fähigkeit, auf effiziente Weise das sprachliche und thematische Wissen zu erwerben, das zum Übersetzen nötig ist; die Fähigkeit, Strategien für den effizienten Einsatz von (digitalen) Informationsquellen zu entwickeln; die Fähigkeit zur Anwendung textkritischer Methoden und zur Unterscheidung verschiedener Textausgaben. Literarisch-kulturelle Kompetenz ist die Fähigkeit, beim Literaturübersetzen Wissen über die Literatur und Kultur von Ausgangs- und Zielsprache anzuwenden; sie beinhaltet auch die Fähigkeit zum Umgang mit kulturspezifischen Unterschieden sowie die Fähigkeit, zwischen verschiedenen literarischen Bewegungen und Schulen, Perioden und Stilen unterscheiden zu können. Intercultural skills pertain to the ability of translators to map elements from two different cultures onto each other and make informed decisions on the way source culture-specific elements are to be referred to in target texts. Berufskompetenz ist die Fähigkeit, Wissen über die eigene Branche zu sammeln und das angemessene, in der Branche erwartete Verhalten an den Tag zu legen. The translator knows of the existence of a translators’ association in his/her country and attends translators’ local / regional meetings & conventions. The translator knows how to apply for grants from national, regional and/or communal institutions. The translator applies for grants from national, regional and/or communal institutions. The translator knows that contracts are negotiated between publishers and translators. S/he knows how to write invoices. The translator registers with his/her local tax office. S/he writes reminders and final warnings. S/he does her/his own accounting and budget planning and declares taxes. The translator pays social security contributions. The translator doesn’t change the contents of the works s/he translates. S/he doesn’t translate authors who have previously been translated by colleagues without conferring with these colleagues first. S/he doesn’t undercut currently accepted conditions of fees and royalties in her/his translation contracts. S/he doesn’t translate texts that propagate violations of human rights. The translator can give seminars and workshops for literary translators to pass on his/her acquired knowledge and skills. The translator knows about seminars and workshops for literary translators. The translator participates in seminars and workshops for literary translators. The translator knows and meets the deadlines of her/his translation contracts. S/he is familiar with formats like standard pages. S/he can produce sample translations for publishers. The translator can estimate the research a given translation project requires. S/he self-edits translations to publishable shape. If necessary s/he annotates his/her translations. The translator comments on her/his translations in afterwords, progress reports and essays. Evaluationskompetenz ist die Fähigkeit, Übersetzungen, das Sachverständnis von Übersetzern und Übersetzerinnen sowie Übersetzungsprozesse einschätzen und beurteilen zu können. There are numerous forms of assessment, developed in accordance to their function. Numerous juries of prices have designed forms, publishers and literary foundations use criteria in order to give translators assignments or grants. In translation studies, a lot of models have been developed (cf. the entry ‘Translation Criticism’ by Outi Paloposki in the Handbook of Translation Studies, volume 3 (Ed. Yves Gambier and Luc van Doorslaer, John Benjamins 2012, pp. 184–190). An inspiring study might be Lance Hewsons An Approach to Translation Criticism: Emma and Madame Bovary in Translation. Amsterdam/Philadelphia: John Benjamins 2011. Over the last decades the number of courses, workshops etc. in the field of literary translation in various countries of Europe has increased. The same holds true for more individually-oriented training models such as mentorships, most of which are given by experienced literary translators willing and capable to pass on their expertise to beginning, young translators. 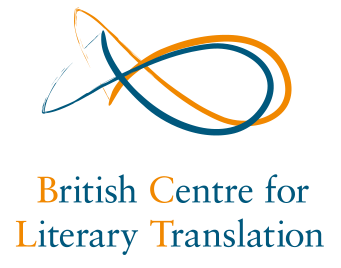 Professionalism in literary translation is also characterized by translators’ ability to assess which competencies as a literary translator they have and at which level. Awareness of gaps in one’s professional or educational trajectory is just as valuable as insight in one’s capabilities. The PETRA-E Framework itself conceives of translation competence as a total of the 8 subcompetences here presented. For key publications and the history of the notion ‘translation competence’ see the entry ‘Competence’ by Amparo Hurtado Albir in the Handbook of Translation Studies, volume 1 (Ed. Yves Gambier and Luc van Doorslaer, John Benjamins 2010, pp. 55-59). Forschungskompetenz ist die Fähigkeit, methodisch zu recherchieren und die Ergebnisse dieser Recherchen in die Übersetzungspraxis einzuspeisen.